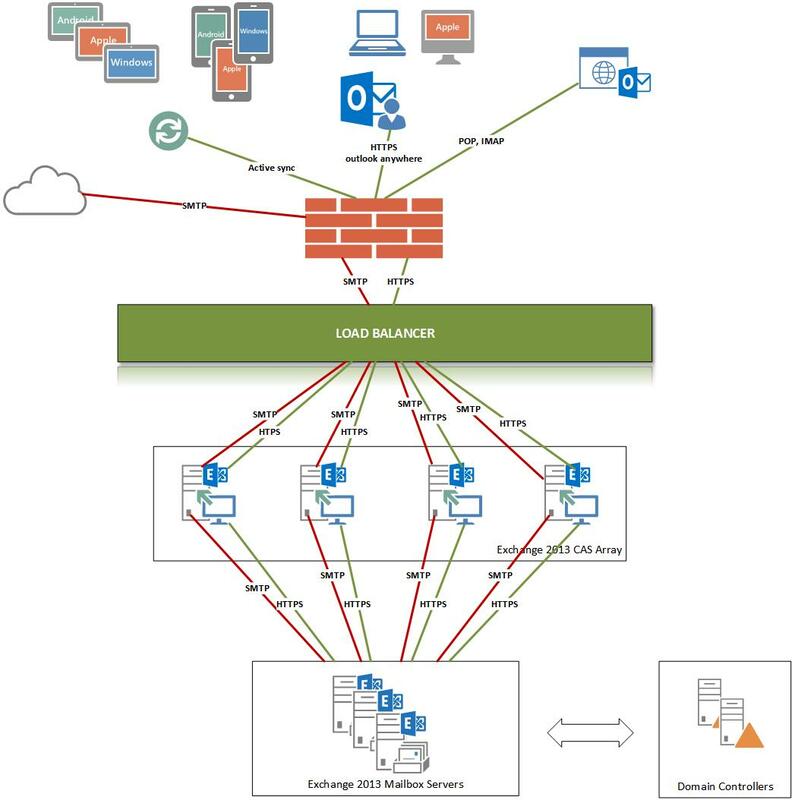 This is an overview of the project and not a technical document how to migrate to Exchange 2013. In the past we setup a multi tenant environment with Exchange 2010. At that time there was only resources for 1 physical server, wich was sufficient at the time of setup. But the time had come to upgrade to Exchange 2013. For redundant purposes we decided not to just install a new exchange 2013 server and migrate the mailboxes. VDS Systems plans for the future and did an inquiry first. There are only 2 roles in Exchange 2013. We decided to split them up. Agreed that there are articles that says you should install all the roles on every server. But we also find a best practice document on the Microsoft and decided to follow it. So we created an CAS array and a Mailbox availability group. The biggest challenge of this project are the outlook connection from the customers. During the migration they cannot notice any interruption, so we tested external connections first. We checked the autodiscovern OWA, EWS, ECP and outlook anywhere settings. Security was also necessary with the right certificates. Research been done to decide to setup split DNS or single domein. We decided to implement VMware vSphere 5.5 . To safe time we installed one server and all its updates and exchange requirements. Then we prepared the server with sysprep to avoid double SID. After completion we converted the server to a template that allowed us to deploy the other servers from this template. This saved alot of time. Use the best practice guide from VMware to setup the correct settings of CPU, memory and additional disks/Controllers. Microsoft reports also that Exchange 2013 now has 85% less IOPS and kan run on 7200 rpm disks, that is why the mailbox servers are on +10 TB datastores so we can provide large mailboxes of 50 GB. After the setup of all servers, we could start installing the Exchange software. First install the servers that are going to host the mailbox roles. Secondly install all your client access servers. For redundantie we placed a load balancer from VMware before the CAS array. The certificate was installed on all the exchange servers and load balancers and the virtual mappings for outlook anywhere funtionality. Because of the loadbalancer we could route traffic to the old servers aswell as the new client servers. This way there was time to migrate customers to the new server without downtime. We also created a time windows wich made it possible to migrate in days or weeks depending on the load. The result is as shown in the diagram below. VDS Systems had all the knowledge in house to complete this project successfully.